Join us for more fun with robots! Introductions and "show and tell" begins at 6 PM. Each month, we will have a different Featured Project that will be revealed at the meet-up for you to play with. Each Featured Project is something very simple, designed to be approachable for people of all ages and skill levels. We hope these projects inspire inquiry and creativity, but they are always optional. If you're interested in participating in the Featured Project, you may occasionally be asked to bring materials. We will be building real live (simple) robots this time around! 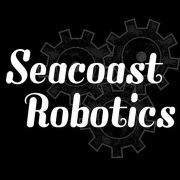 Participants will *not* be able to bring the finished robot home, but we'll provide you with a list of materials/instructions if you'd like to create your own at home. This is a warm up scrimmage for teams who have qualified for the VEX World Championship. This is meant to be a fun opportunity for teams to try out new strategies and designs just prior to a ship date. 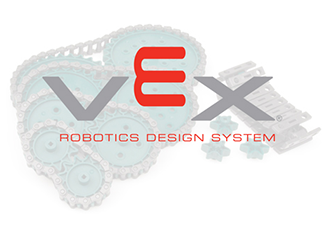 VEX Robotics is the largest competitive robotics organization in the world for middle and high school students. With over 8,000 teams, it is larger than ALL the other robot competitions combined. This event will have 24 of the best teams in New England compete in one last event before they travel in two weeks to Anaheim California to match up with 400 of the best in the world from 23 different countries. Want to be A Robot Maker, A Robot Creator? Here is your opportunity to imagine cool robots and bring them to life with Lego Robots!! Use your imagination to create complex robots. Program robots to solve Lego Challenges. Show off your creations to friends and family on Friday! Brown Bag your lunch and enjoy the snacks we provide.